Located in Downtown Ho Chi Minh City, this hotel is steps from Temple of Mariamman and Ben Thanh Market. 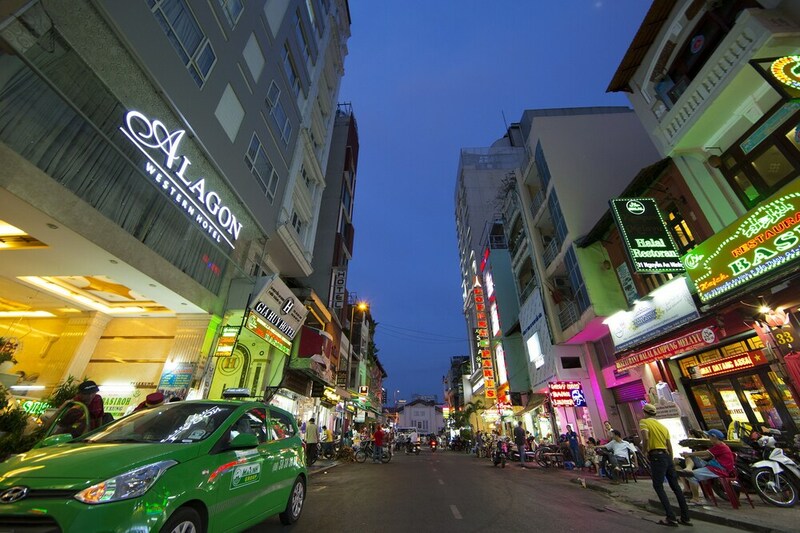 Pham Ngu Lao Backpacker Area and Saigon Square are also within 10 minutes. This smoke-free hotel features a restaurant, coffee/tea in a common area, and concierge services. WiFi in public areas is free. Additionally, dry cleaning, laundry facilities, and a 24-hour front desk are onsite. All 56 rooms feature thoughtful touches like bathrobes and slippers, plus free WiFi and TVs with cable channels. Guests will also find minibars, room service, and coffee makers. The hotel offers a restaurant. Public areas are equipped with complimentary wireless Internet access. For a surcharge, the property provides a roundtrip airport shuttle (available 24 hours) and a train station pick-up service. This business-friendly hotel also offers tour/ticket assistance, coffee/tea in a common area, and concierge services. Alagon Western Hotel is a smoke-free property. Park View Restaurant - This restaurant specializes in Halal dishes and serves breakfast and lunch. Open daily. This property offers transfers from the airport and train station (surcharges may apply). Guests must contact the property with arrival details 48 hours prior to arrival, using the contact information on the booking confirmation. Only registered guests are allowed in the guestrooms.